Aldous Huxley established himself as one of the most influential literary figures of the 20th century. Spearheading the dystopian genre with his classic novel Brave New World, this author’s bleak vision of the future left a permanent mark on an entire generation, including his one-time pupil, George Orwell. Part of Huxley’s evolving interest were hallucinogenic drugs and the effect they had on human beings. For example, in his 1932 novel Brave New World, the characters consume a government-issued narcotic substance designed to keep its citizens in order by providing them temporary satisfaction. After accomplishing success in Europe, the author decided to move with his wife Maria and son, Matthew, to the epicenter of the film industry, Hollywood, California, to become a screenwriter. 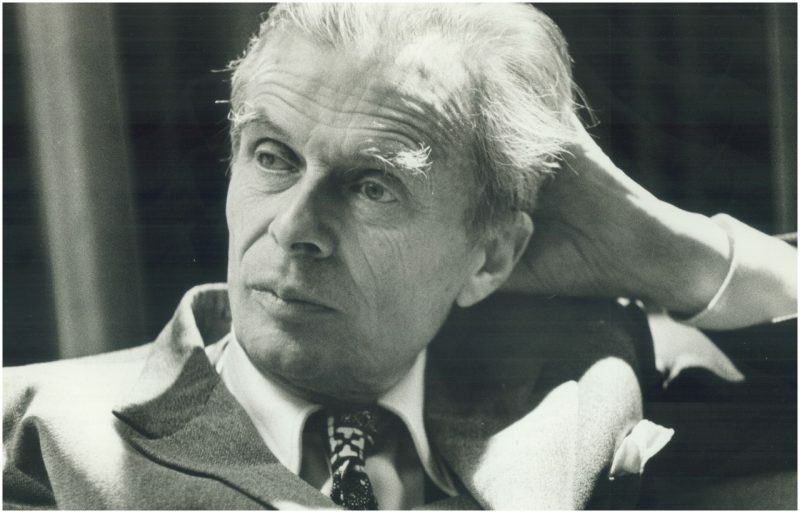 Monochrome portrait of Aldous Huxley. 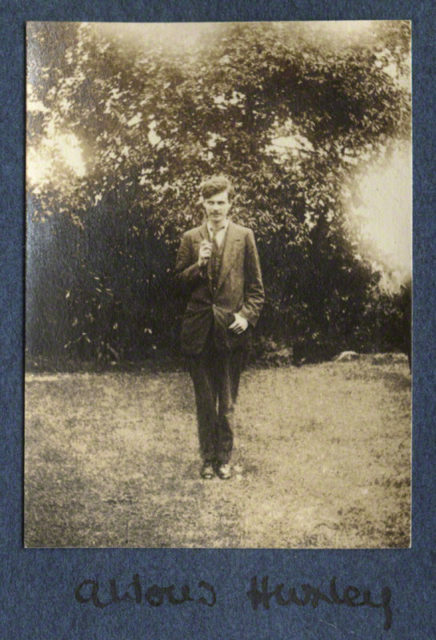 According to his later biographer and friend, Christopher Isherwood, during the late 1930s and 1940s, Huxley was involved in providing financial help to Jewish and left-wing writers and artists who were attempting to escape persecution in Nazi Germany. In the meantime, while living off his screenwriter fees in America, Huxley was introduced to Hindu philosophy, which sparked his interest in mysticism and transcendental realities. It was also a path which led him to further pursue his interest in hallucinogenic drugs, which he believed were the key to understanding the world beyond sensual satisfaction. The writer was no stranger to including mind-altering substances as part of his literary repertoire, but it wasn’t until he was introduced to mescaline ― a hallucinogenic extracted from the Peyote cactus ― that he started to experience and understand the effects of such drugs first hand. 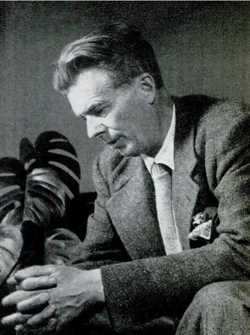 Monochrome portrait of Aldous Huxley sitting on a table, facing slightly downwards. Drawing from the experience of taking mescaline, Huxley wrote a book and published it in 1954. The book titled Doors of Perception soon became a Bible for the upcoming 1960s counter-culture, which flourished on psychedelic music fueled by the effects of the Lysergic acid diethylamide, better known by its abbreviation ― LSD. The book became so influential that its title was used by Jim Morrison to name his psychedelic rock band ― The Doors ― which, by some, might be considered the pivotal music outfit of the movement. Huxley himself first came in contact with LSD just a year after publishing Doors of Perception. Of course, back in 1955, the drug was still unprohibited by law in California, as its effects were largely unknown. 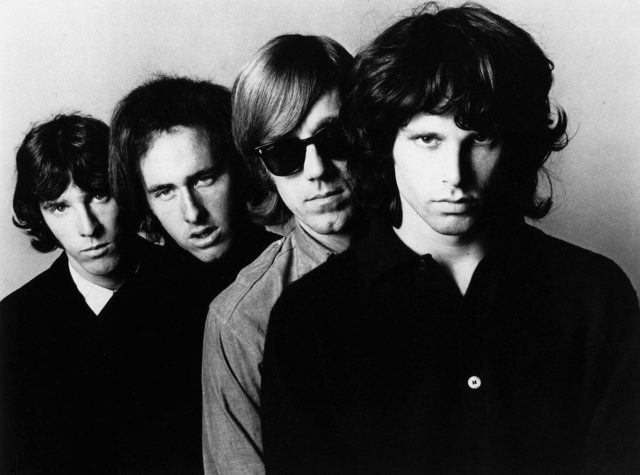 Rock band The Doors got its name from the title of Aldous Huxley’s book The Doors of Perception. As an early advocate of the substance, he became a part of a wider front of writers, intellectuals, and public figures who believed that LSD was somehow related with the spiritual evolution of human beings. This soon became the idea behind the massive hippie and beatnik subcultures which defined the 1960s in the United States. However, his productivity and activism were interrupted by laryngeal cancer which he developed in the early 1960s. Struck by the quickly-advancing disease which affected his vocal chords, he soon lost his ability to speak. Nevertheless, the author remained a firm believer in the benefits of the hallucinogenic substance and continued to use it until he finally met his end. Bloomsbury Group members. 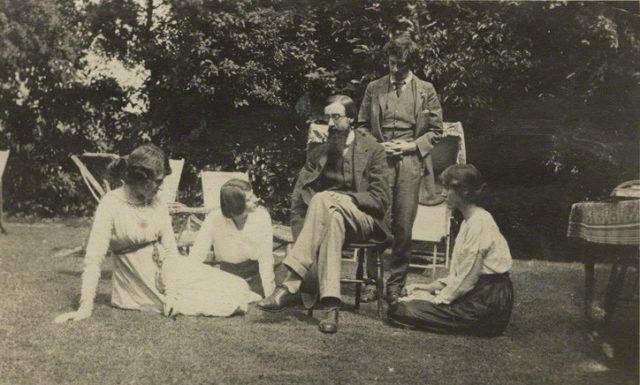 Left to right: Lady Ottoline Morrell, Maria Nys, Lytton Strachey, Duncan Grant, and Vanessa Bell. 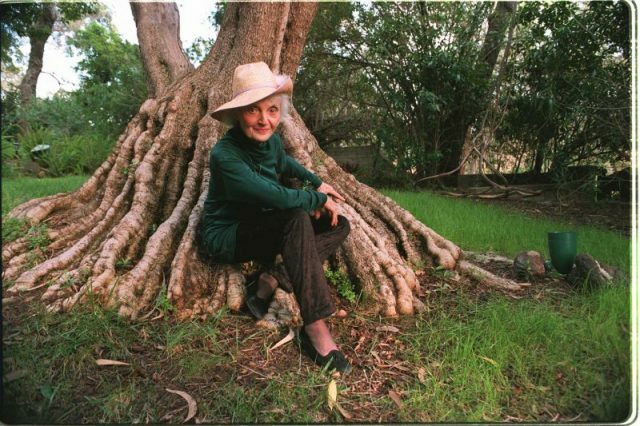 On his deathbed, on November 22nd, the writer made a written request to his second wife, Laura, to inject him with “LSD, 100 µg, intramuscular.” Laura Huxley (née Archera) later wrote of the account in her biography of the writer, titled This Timeless Moment. In the book Laura explained how she injected Aldous with LSD at 11:20 am and then provided him with another shot, an hour later. The writer, who was 69 at the time, finally parted from this world in 5:20 pm at his residence in Los Angeles. Loyal to his principles to the very end, Aldous Huxley parted with the living in his own manner ― under the effect of the drug which he personally believed was key for the evolution of human consciousness. Strangely enough, Huxley’s death coincided with the assassination of John F. Kennedy, and thus went largely unnoticed by the media. It was indeed an end of an era and a beginning of something else. The writer held dearly his position on the potential of human beings and believed until the very end that a better world was possible, just like the late President Kennedy did in his own way.